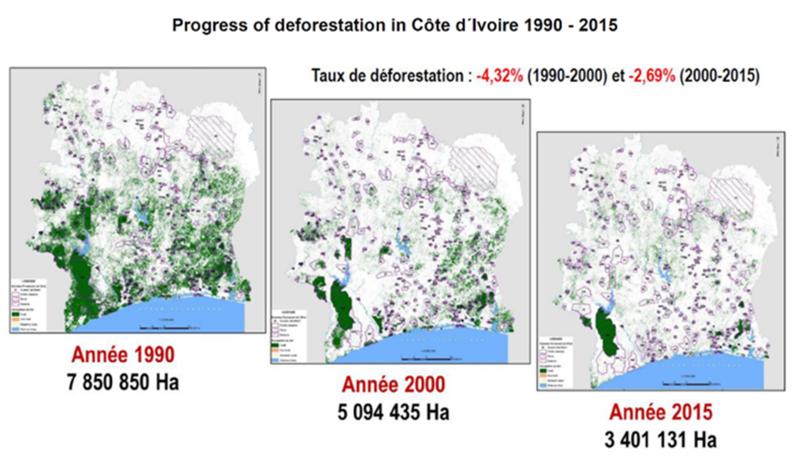 At the current rate of deforestation, Côte d’Ivoire could lose its entire forest cover by 2034. Despite forests becoming rare, deforestation rates remain high, and the remaining 3-4 million hectares of forest are mainly threatened by the allocation of more land to agriculture. The country is the world’s largest supplier of cocoa, with most production coming from smallholder, low productivity farmers, particularly in the southwest region, home to much of the country’s remaining forest resources. As part of the International Partnership Programme (IPP), UKSA have funded a project with Vivid Economics which seeks to increase rural economic growth; increase the sustainability of, and producer participation in global supply chains; and enable maximum-impact reforestation in Côte d’Ivoire through the use of satellite-based information. The aim is to drive two outcomes: improved monitoring and enforcement efforts that prevent forest loss and prioritise afforestation and better-targeted support to local economic development and sustainable supply chains through payment for ecosystem services (PES) schemes. These two outcomes will be achieved with three foundational tools (called IMAGES) developed by Vivid Economics: a land use inventory, a natural capital valuation framework, and an early warning system that can monitor and anticipate deforestation. All three tools represent substantial improvements upon what is currently available, but the real benefit of the project lies in their combination and close integration into policy and regulatory activity. 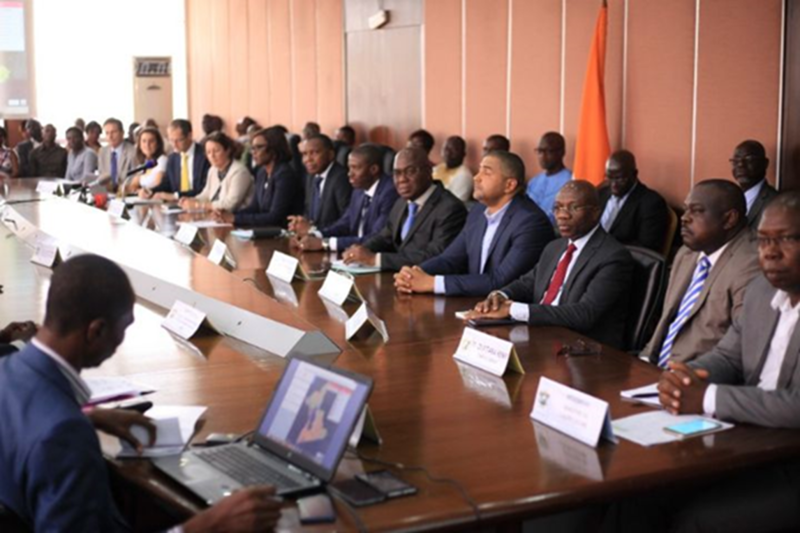 The project started in January 2017 and in November 2018 the operational system was officially adopted by and handed over to the Côte d’Ivoire Ministry of Development and Planning at a ceremony in Abidjan. During the visit the UKSA and Vivid teams also travelled to the Cavally forest area in the South East of the country and saw the forest rangers from SODEFOR using the IMAGES system to identify areas of illegal cocoa planting that they wouldn’t have found without using the alerts from the system, demonstrating the operational effectiveness of the tool. The next steps in the project are that the system will hopefully be rolled out to cover the whole country and will be adopted by other Ministries to help them with their planning. The IPP programme has a number of projects working to make an impact on deforestation (more details can be found here www.spacefordevelopment.org) and Caribou Space, the UKSA’s M&E partner, have written a report on how space technology has a critical role to play in addressing major challenges within forestry in emerging and developing economies (forestry report here).